because simply replacing the crystal won't do you any good -- the clock frequency is hard coded into the bootloader. re-programming the clock frequency on the fly allows you to experiment with varying power consumption. but then yes, ultimately you may wish to burn a new bootloader specific to requirements and use a new crystal. Hi! New to the boards... came here in seek of a way to run an arduino pro 3.3v (from sparkfun) on 2 AAs. This is important because I'm actually just stealing the power rail from a wireless xbox controller. The two batteries only give me 2.6-2.9 volts, which is only enough to boot the micro on a good day. in my setup loop but it still would not power on with 2 AAs. Are there additional steps or tricks I can try? we were discussing changing the clock frequency in software. you can't change the voltage in this way. 2. build a circuit like the Adafruit minty boost that takes 2 x AA and gives you 5V. This is useful if you also have other parts needing 5V anyway. I did it myself very recently. Someone had mentioned earlier in this thread that voltage was linked to clock frequency, so thats what I was going off. I did find a 3.3 volt dc-dc converter circuit that is now in the mail. That should work for sure. I was hoping to keep power consumption as efficient as possible by using extremely low voltage and not needing the loss in a dc-dc conversion, but I'll explore saving power with watchdog/sleep instead. So running at 4MHz *in principle* should mean you can go down to 1.8V which would give you decent battery life on AAs I guess. Trouble is that if you're using the clock tweaks described previously then you'll still need to boot up at full clock speed first. Hmmm! Sounds like it would be easier to reprogram a 4MHz bootloader into the 328, really. Hmm, interesting. I don't have any special hardware to burn a bootloader so I guess this project will have to go on hold. Something I'll circle back to as I am interested in revising this project to be low power. I've got a stand alone battery prowered 328 project that runs off 3 AAs - it "works ok" but reading here is sounds like I'm on the edge of it running successfully at 16MHz. I was considering dropping the crystal down to 8MHz to give me a wider power margin - Comms is not an issue as I'm programming the 328 in an Arduino then taking it out and dropping it in my PCB. But it sounds like just changing the crystal won't work either and it will require a software tweak too - is that correct? As I understand it, clock speed is hard-coded into the bootloader, so changing the crystal isn't enough to change the speed. You would need to program a new bootloader in as well. Given what we've been discussing about clock dividers above, it would seem that changing the crystal isn't actually necessary - a bootloader that sets the clock divider would suffice. But without the capability to reprogram the bootloader that's going to be a bit awkward. Ho hum. When I last tried with a mac (July 09) it wasn't possible using the mac's FTDI driver. Instead I used Windows running under parallels. 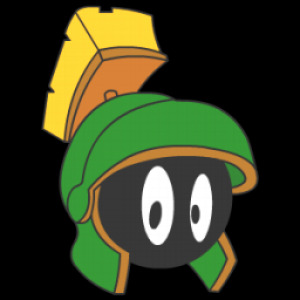 Marvin Martian, why do you think you would need to reprogram the bootloader? Comms is not an issue as I'm programming the 328 in an Arduino then taking it out and dropping it in my PCB. So when you want to reprogram the sketch on the 328, pull it out of your PCB, replace the 328 in your Arduino (which still has the 16MHz crystal) and re-program the sketch there. Personaly I have a box full of old crystals I'd like to use up. As I am presently at a river mouth about to head to sea I would have to allow two days to tie up ,catch a cab 40Ks to the parts shop, buy my crystal and catch a cab back. I find it cheaper to reprogram it. Its all a matter of your own circumstances and then how narrow or broad your vision is. Marvin Martian -- if all you want to do is reduce power consumption, then you can change the clock speed once you've booted (in your setup function), as described above. I posted some test figures earlier in the thread, showing the reduction in current for various clock speeds. If it's possible to put the arduino to sleep for longish periods of time when it's not doing anything, then this will save power further. If you want to run on a LOWER VOLTAGE, then you may need to reprogram the bootloader to get the arduino to bootup on that lower voltage, depending on how low you want to go. I'm basing this assumption on what we found in the ATmega328 datasheet, again mentioned earlier in the thread. I see that on Linux "preferences.txt " is in the library directory and I could find no mention of "build.f_cpu". Is this now obsolete ?